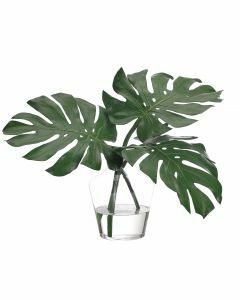 Add natural beauty to any space with Decorative Faux Selloum Leaf in Glass Vase, measuring 35w x 39d x 36h. 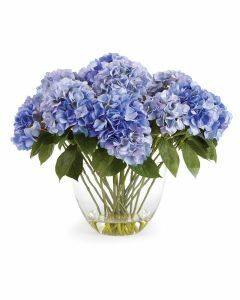 An elegant touch to your foyer or living room. Please note this item is custom made to order and cannot be returned. The lead time is approximately 2-4 weeks. Click on images for greater detail.